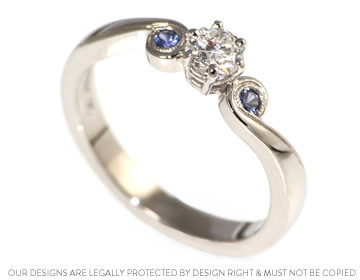 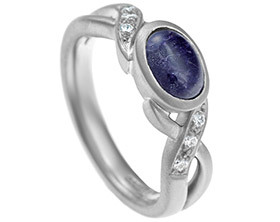 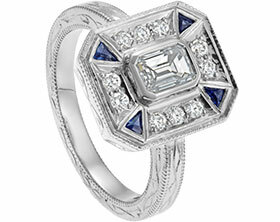 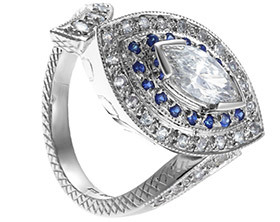 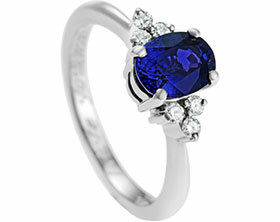 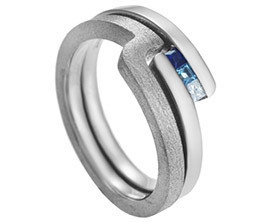 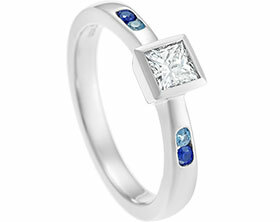 This unique, handmade palladium engagement ring's band incorporates a rotational symmetrical tapering twist that holds two 2mm brilliant cut blue sapphires. 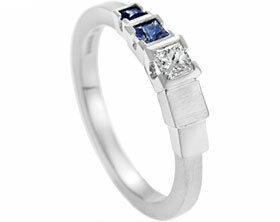 The central 4.5mm (0.32ct) brilliant cut H Si diamond is held in a classic 6 claw setting. 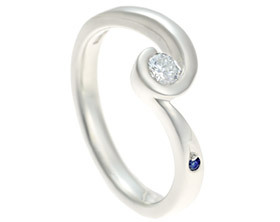 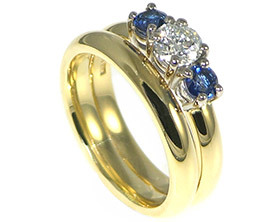 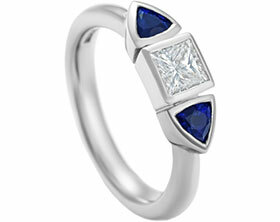 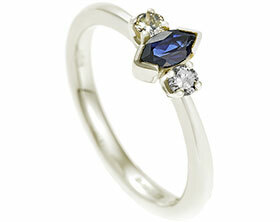 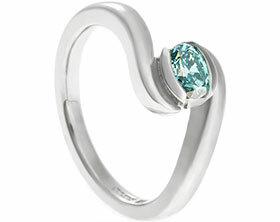 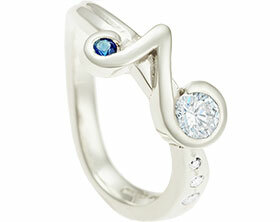 The shape of this beautifully elegant ring is highlighted on each arm by mill grain detailing.